Springtime in Atlanta! One of the most beautiful times of year in the city is marked with not only a re-blossoming of flowers and return of color but also a vast array of events, festivals, shows etc. 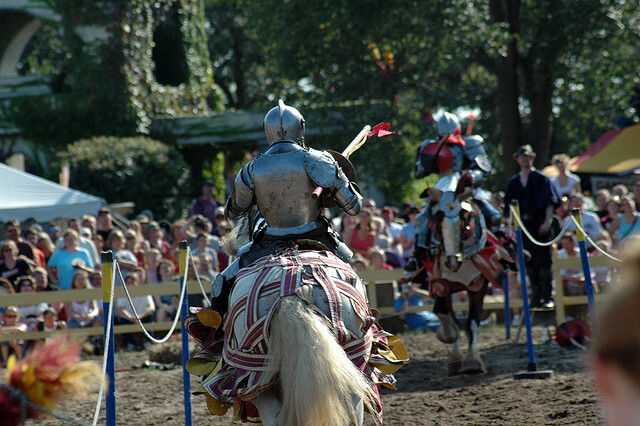 From the time-honored traditional festivals and sites to the newer up-and-coming, there is something for everyone to do. While this is definitely not a full list, here are just a few things to get you started as you look for ways to enjoy the warmer weather and take some time away from work and studies. 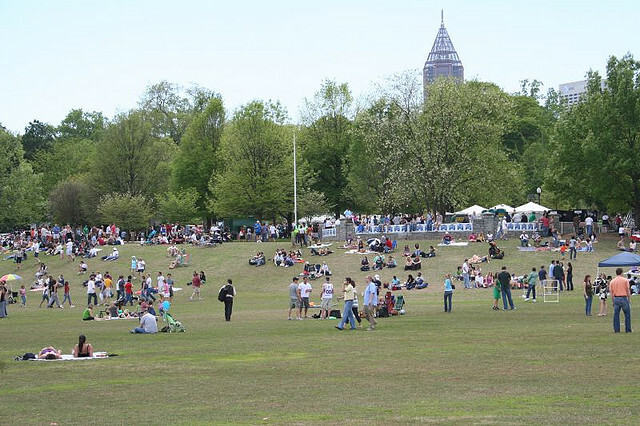 Go with a group of friends, your kids, family, or even by yourself to enjoy all of Atlanta’s finest food, music, culture, artists, and exhibits while also getting to spend time outside in the warm spring weather. In addition to top notch independent films from around the globe, movie enthusiasts can mix and mingle with filmmakers and industry professionals during a variety of Atlanta Film Festival events including awards ceremonies and workshops. Past honorees of the IMAGE Film Award Gala include Cicely Tyson, Spike Lee, Burt Reynolds, Ozzie Davis and Ruby Dee. A juried art competition recognizes artistic achievement in such categories as sculpture, painting, jewelry and photography. The Kid’s Village features arts and crafts, face painting, rock climbing and huge inflatables that are sure to please kids of all ages. “Think local on the last Saturday in April when the soft spring air blows in tasty good times at Taste of East Point. The event showcases the food, art and music created in the south metro area. Patrons arrive hungry to nosh at tents hosted by area restaurants, local artists show off their handmade wares and a host of singer-songwriters perform a mix of funk, soul, blues, dance tunes and folk. Each year downtown East Point comes alive for one of the most premiere cultural events in Georgia – the Taste of East Point and the South Metro Area. Hosted the last Saturday in April, this event is a leisurely stroll past local art displays and talented musicians, while partaking in an array of wine and food “tastes”. Taste selections from area restaurants that take pride in their annual display. View the work of artists that live and work in the East Point, Hapeville and College Park area. Find paintings, prints, handmade jewelry and more! Kick back and relax to the sounds of bands from the Tri-City area. From rockin’ blues to high energy funk, there is something for everyone! Visit picturesque Turner Field to enjoy America’s pastime in the heart of downtown! 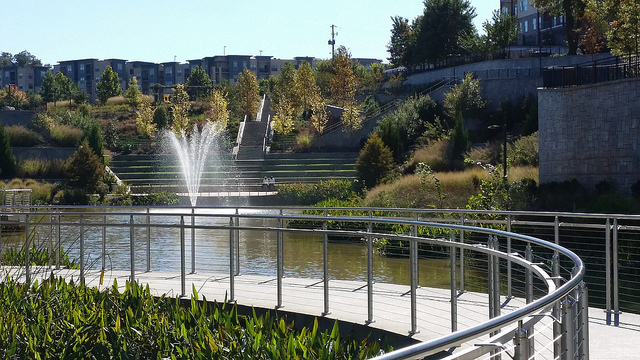 A relatively new but already hugely popular addition to Atlanta, the beltline has several different walking, biking, and running trails fresh for you to explore from the Old 4th Ward to Midtown to the Eastside. 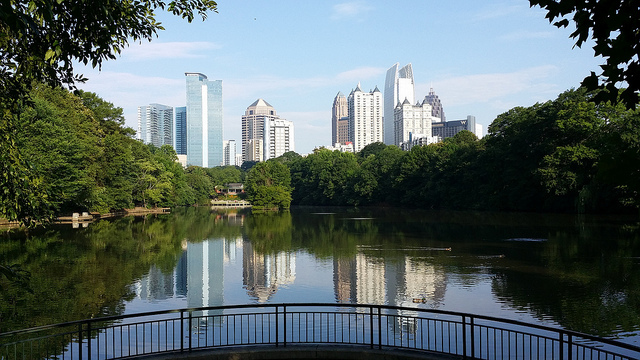 While the trails themselves are ever expanding, they already go straight through some of Atlanta’s most interesting and hip neighborhoods (not to mention are right next to many of Atlanta’s newest and most popular restaurants, markets, bakeries, and other eateries). While you are enjoying the outdoors, don’t forget to visit Stone Mountain for a great workout and equally great view (whether by yourself or with a group). After hiking up and coming back down bring a Frisbee or football to throw around while you wait for the start of the Laser Show. You can set out your blanket in front of the mountain for a picnic as you enjoy some tunes, the lights and some great company. ← Listen to Cases and Treatises on the Go!